From my Filipino heritage I have an ingrained sense of hospitality. Anthony Bourdain called Filipinos the most generous and welcoming people he has ever met. 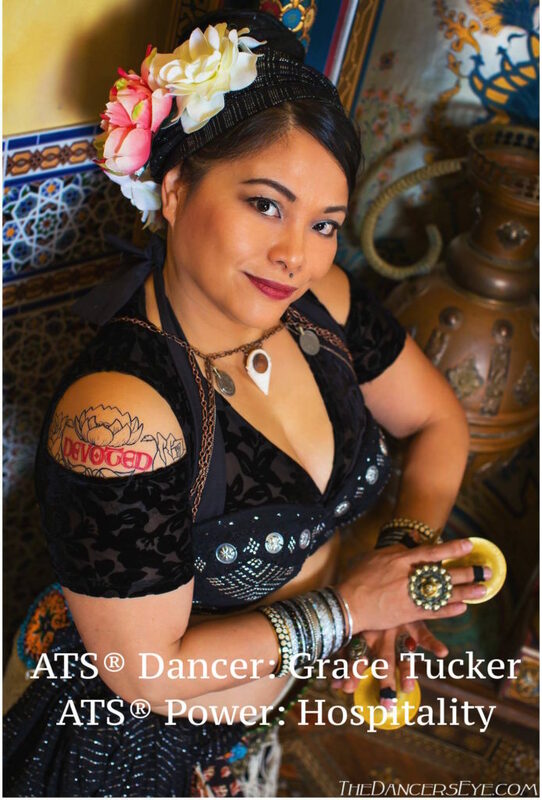 I feel I found a home in ATS® and when others enter my “home” I want them to feel the same warmth and friendship I feel every time I dance. Whether someone is sitting at my dinner table or taking my class I always feel very special that they want to spend time with me. And like my mamang taught me, I in turn want them to feel that special as well. So pull up a chair, I’ll feed you until you can’t move; come dance with me and we will have a great time. Your classes are always a blast and super welcoming!!! Proud to have you as my dance mom! I know this isn’t the first time I’ve told you that coming to your classes is my therapy each week. 😃 But it’s so true for so many reasons. First, I just truly love spending time with my lovely dance sisters of Eastern Fire…dancing, laughing, talking, and all of our shenanigans. There is true warmth throughout our fire, and it begins with you Grace. Thanks for keeping all of our dance fires burning through your knowledge and encouragement. I’ve learned so much from you…and I’ve got room for lots more! No matter your age, shape, size, ethnicity, insecurity, coordination issues, Grace will make you feel welcome. I’ve found my tribe at Eastern Groove and feel blessed to be able to dance with these lovely ladies every week!